After months of speculation and rumour, Nikon has announced its new 36.3 million pixel FX-format (full frame) professional level DSLR, the Nikon D800. Priced at £2399.99, the camera will be released in March. The full-frame sensor has been redesigned for the camera and features 12-channel readout with 14-bit A/D conversion and high signal-to-noise ratio. The D800 should, according to Nikon, be capable of delivering images with low noise and wide dynamic range. In fact, Nikon is promising similar levels of noise as in its predecessor, the D700 which only features 12.1 million pixels. Sensitivity is offered between ISO 100-6400, expandable up to 25600 and down to ISO 50, while 16 bit image processing and a fast EXPEED 3 image processing engine are included. The D800 offers Full HD 1080p video recording, with frame rates of 30fps, 25fps and 24fps. Slow motion movies can be recorded at 60fps and 50fps at 720p. Movies can be shot at up to 29:59 minutes long. Multi-Format Full HD movie, which was first introduced in the D4, gives you the option to shoot in both full-frame FX and cropped-frame DX formats. For audio, the D800 includes an external stereo microphone input, along with an audio out for external headphones which can be used when capturing video or for fine-tuning afterwards. Nikon is the first camera manufacturer to introduce this feature. Uncompressed HDMI output is included for those who want the purest video output for broadcast quality editing. Other video features include index marking for tagging important sections of video which recording and power aperture to enable smoother, quieter changes of aperture using assigned buttons on the front of the camera. A newly designed 91,000 pixel RGB metering sensor is used by the Advanced Scene Recognition System to detect human faces, even when you're shooting with the optical viewfinder rather than in live view. It also offers more accurate exposure based on a scene's colours and brightness. The higher resolution sensor also improves autofocus capabilities, as the D800 should be able to focus and expose for finer detail and smaller subjects. Having a greater amount of pixels also means that 3D subject tracking is more accurate and faster, particularly when shooting smaller subjects. Nikon's familiar Multi-CAM 3500FX autofocus system is implemented in the D800, with 9, 21 and 51 point coverage settings. As with the D4, the autofocus sensor module and algorithms have been re-engineered specifically to improve low-light sensitivity capabilities down to -2EV (which is roughly equivalent to moonlight). As on the D4, AF operation is also possible under a combined aperture value of f/8. A 3.2 inch, 921k dot LCD monitor can be found on the back of the camera with automatic brightness control. Images can be magnified up to 46x during playback to help confirming sharp focus. The optical viewfinder provides 100% frame coverage, an improvement from the 95% found on the D700. A dual-axis electronic virtual horizon offers the availability to check level shooting either via the LCD monitor or the viewfinder, along both the horizontal plane and its pitch. Although the D800 is roughly the same size, shape and weight as the D700, the ergonomics have been enhanced, including altering the angle of the shutter-release button and including a designated movie recording button. A new bracketing button has been placed to aid such features as HDR. Extensive weather and dust sealing throughout the magnesium alloy body of the camera has been included to keep the D800 tough, while the shutter unit has been tested to over 200,000 cycles of release. The battery provides 850 shots of still image shooting or around 60 minutes movie shooting in live view. For the first time in a Nikon DSLR, high-speed data transfer is available via USB 3.0. The D800 features dual memory card slots, one for CF and another for SD. A second version of the camera, the Nikon D800E is also available incorporating an optical filter with anti-aliasing properties removed. This means that even sharper images can be potentially be achieved but comes at an increased risk of moiré. This can be removed with additional processing in imaging software, however. Aside from the optical filter, all functions and features are the same as on the D800. A number of creative options have been included, such as a time-lapse photography function which can save images as a movie file in the camera and HDR, which shoots one overexposed and one underexposed frame in a single shutter release. Four image area options are introduced in the D800, all visually masked in the viewfinder. These are full frame, 5:4, 1.2x and DX-format, meaning that the camera is compatible with the full range of Nikon lenses. 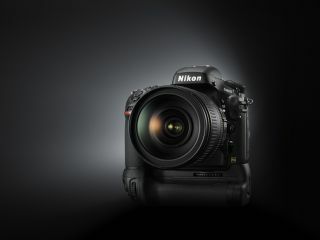 The Nikon D800 UK price is £2399.99 and will be available from 22nd March 2012. The Nikon D800E UK price is £2689.99, with sales starting on 12th April 2012.